Whether quality assurance, finishing or final check – with our certified quality management according to the ISO 9001: 2008, we are available 24 hours a day and support you reliably and professionally with our core competencies. In addition, we carry out a complete goods-in inspection to ensure smooth production and put all the individual parts and assembly procedures at the end of the production line through an “End Of Line” check, so that no faulty parts leave the factory and also to protect you from unnecessary customer complaints. In terms of finishing we clean dirty components, perform mechanical finishing and install or remove components according to your specifications. Small defects are therefore quickly corrected without the production process in your company being interrupted and without causing time or logistic bottlenecks. 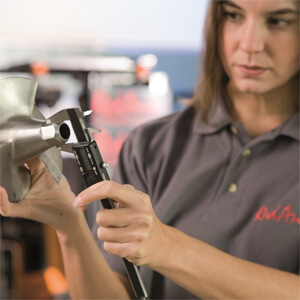 The finishing of components is one of the daily tasks for our employees. Particularly the removal of “burrs” and the detailed finishing of forms belong to our special tasks and are routine work operations that we carry out with the utmost care and expertise. Our trained staff can carry out a final check according to your specifications and also take care of all quality-related concerns on site. As required we represent the interests of your customers and can set up your supplier with a Q-Firewall in order to ensure a 100% defect-free parts delivery. Thanks to effective human resources management, we guarantee short response times of the highest quality and impeccable service at our locations. Our services are carried out exclusively according to your test and work requirements and are performed by a technically competent and experienced team. Our daily operations are fully documented to ensure transparency and quality in our work processes. In addition, we also create long-term and defect analysis to optimise your production processes. 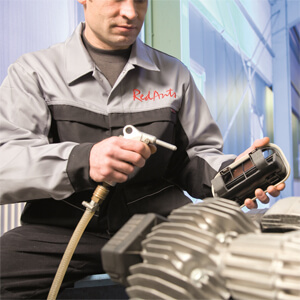 Quality assurance starts with RedAnts CarSystems.